Get confident for your job interview. Interview Guide Reveals Word-For-Word Exactly What You Need To Say To Get Hired. You're smart enough to have found this website. Obviously you want make a good impression and get the job offer … but how? Answer: Prepare your S.O.A.R.L. Stories in advance! 〉 See my answer formula below. They'll ask you about lengthy projects you've been involved in — how your role evolved, how you handled deadlines, how you handled pressures and difficult personalities. You're going to need ultra-specific examples. They're going to be asking you for details; including names of people, dates, and measurable outcomes. They're going to be testing you in lots of different ways. You can become fully prepared for your interview right now w/ organized, intelligent templates & materials that have been strongly recommended online by hundreds of people. Calm your nerves. TIME-SAVINGS is what I'm trying to give you — Get confident for your interview with everything laid out simply in front of you. ✔︎ Saves time. You'll know exactly what to do to get ready. 15 Years of Continual Improvement. M y name is Bob Firestone and I've dedicated the last 15 years to continually improving my job interview training materials that have now helped over 31,000 people (read all reviews) from all walks of life. Over 4,000 people have connected with me on LinkedIn to tell me my Guide helped them immensely — sometimes in life-changing ways. I'm really proud of this! … and I feel passionate you'll benefit from it too. In fact, I guarantee it. FOR EVERY QUESTION you may face, this download gives you several word-for-word example answers to choose from — AND you'll have the templates for coming up with your own perfect answers — based on your own personality and your own personal work experience. Over 80 behavioral interview questions are covered in the Guide with over 177 example answers that work for competency-based, KSA, situational, and behavioral interviews. Are You Ready For Tough Behavioral Interview Questions Like These? You'll know exactly how to respond to the following example questions. Can you explain this gap in your employment history? … And then what happened? Tell me about a time you had to learn a new technical skill … How did you go about it? Share some examples of how you've been able to motivate other people. Describe a recent split-second decision you made at work. What was your process for making the decision? A year from now, how will you evaluate if you have been successful in this position? Walk me through the steps you took to reach an important long-term goal. What's your biggest weakness? … Give some examples of areas where you need to improve. Describe a change you needed to make that was unpopular. How did you implement it? How do you go about influencing people to go along with your plan or opinion? So … Tell me about yourself. What have you done when you had more than one project with the same deadline? Describe the worst boss you have ever had. Where is that person now? How much $$$ money do you expect if we offer this position to you? 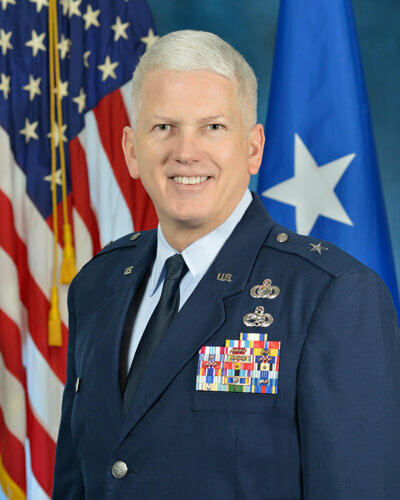 What are your long-range career objectives & what steps have you taken toward obtaining them? What happens when you have to deal with an angry customer or client? What do you do when people disagree with your ideas? … Describe some times when you had to resolve a conflict with an individual, or guide others to compromise. Tell me about an important written document you were required to complete. What's the most significant presentation you've given? … how did you prepare? Do you consider yourself to be a leader? … What are the attributes of a good leader? Are you good at delegating tasks? … Tell us about your process. Tell us about a project when you were responsible for the budget … How did you stay within budget? Tell me about a problem you solved that wasn't assigned to you. Why did you solve that problem? Why didn't anyone else solve it? Give me an example of a time when you took a risk and failed. How did you feel? … What happened next? What things have you done to help yourself in your career? What will it take for you to accept this job? 〉Each and every one of these questions are answered for you in this 2019 Guide! Describe a problem you faced on the job, and tell me how you solved it. The problem you select to use as an example should be as similar as possible to a problem you are likely to face at your new job. 1) Identify their "pain points" or current challenges you think they might be facing, 2) Explain the POSITIVE OUTCOME and MEASURABLE RESULTS you achieved by solving a similar problem at your last job, then 3) Get them to agree with you that your experience in that area is exactly what they're looking for. "Sure, at my last job we had a problem where the situation was "X" ... the action I took was "Y" ... and the positive outcome was "Z" ... In an email to the entire team I was praised by Susan, the Project Manager, for solving the problem and cutting costs about 15% for that project. We were also able to deliver in about ⅔ the time it would have taken us otherwise. What I learned from the situation was "ABC." I think that's the type of experience you are looking to bring to your team … isn't it?" My training materials reveal several ways of coming up with measurable proof numbers that are based on your own past work experience & achievements. You'll discover it's as easy as fill-in-the-blanks to create your proof — and it's SO effective in getting your interviewers to buy in to your potential & your value as an employee. "I think my experience with [Company XYZ] in cutting costs 30% / saving 20 man-hours of work per week / increasing revenue by 14% / getting the job done about 50% faster / decreasing turn-around time by ⅓ / helping customers 20% more of the time is the type of experience that will help me succeed in this role ..."
"... Plus my strengths in industry knowledge / time management / goal-setting / teamwork / empowering others / persuasive presentations / partnering & negotiating / innovation & creativity / strategic leadership / special skill really make me a strong candidate." ✔︎ Don't be bashful — You've gotta say stuff like this! … I give you all the vocabulary for describing your strengths. "Would that type of problem-solving experience be relevant to this job?" … What types of challenges are you currently facing in your department? … What might I do to help you solve those problems in my first couple months on the job here?" This is potentially a trick question. You want to indicate that what you liked best about your last job are things that will appeal to the Hiring Manager. Show that your last job allowed you to demonstrate many of the positive and desirable Behavioral Competencies that are discussed in-depth at the beginning of the Guide. Give specific examples of how your last job allowed you to flex your skills and show your maturity. "What I liked about my last was I was able to really develop my "XYZ" skills which I know will help me succeed here if I am fortunate enough to be able to join your team. What are the qualities of the people who have been most successful in your department?" "One thing I liked about my last job was it allowed me to develop my project management skills ... FOR EXAMPLE, I was put in charge of a project where I had to earn the "buy-in" of people from several different departments — and I had all the responsibility for getting the project completed but no real authority over my teammates. I was successful because I involved key stakeholders from the beginning. My team knew that other people were on board, so I was able to negotiate them to an agreement on deadlines. Then day-to-day I made sure everyone was completing their work on time by setting up a progress tracking system … Can I tell you about it?" What's the worst mistake you ever made on the job, and what did you learn from it? Think about what they want to hear. Show that you are able to learn from your mistakes, but don't offer up any negative examples concerning your past performance. Show that you have been successful, but that you have the maturity it takes to examine your own behavior so you can learn and grow and be a better employee. Be brief. "Good question. Well, I have been successful at every job I've had, but I have had the normal ups and downs. I'd say that I do actively try to monitor the quality of my work so I can constantly be improving myself. FOR EXAMPLE, I have had one or two hiccups with clients (or customers) where their satisfaction was not exactly where I thought it was. I learned that I have to really monitor certain difficult clients closely and "take their temperature" so I can keep their satisfaction level as high as possible. Have YOU had any customers like that here?" This is another Behavioral Interview style of question. The Hiring Manager wants to learn more about your thought process, and your behavioral competencies related to teamwork. You will want to show your ability to solicit ideas from others, listen carefully, and persuade people to your point of view. 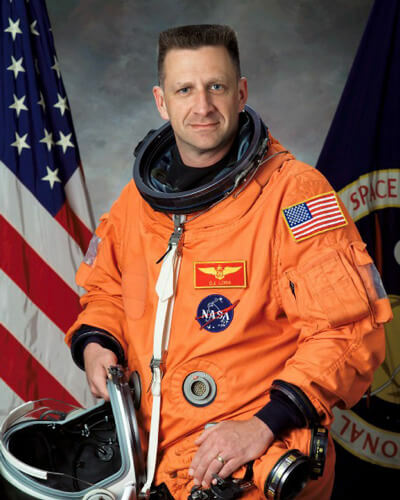 "Well, throughout my career I've worked both independently and as a member of many teams. I have to say, though, that collaborating with other people across departments is always a good idea — specifically when it comes to brainstorming and knowledge sharing. When it's appropriate, I try to get outside perspectives on possible solutions. I did that a lot at Job 'ABC'. FOR EXAMPLE … and the OUTCOME was a roughly 30% increase in cost-savings for the company, and a significant decrease in the time it took to complete the project." 5.0 out of 5 stars"Helpful, useful, valuable guide." "Bob, your guide was helpful. I downloaded it the evening before I went on an interview. What I found most useful was the section about the questions to ask the interviewers. I also appreciated the templates for the thank you notes. Thank you for taking the time to put together this valuable guide!" 5.0 out of 5 stars"Tremendous resource worth many times what I paid." 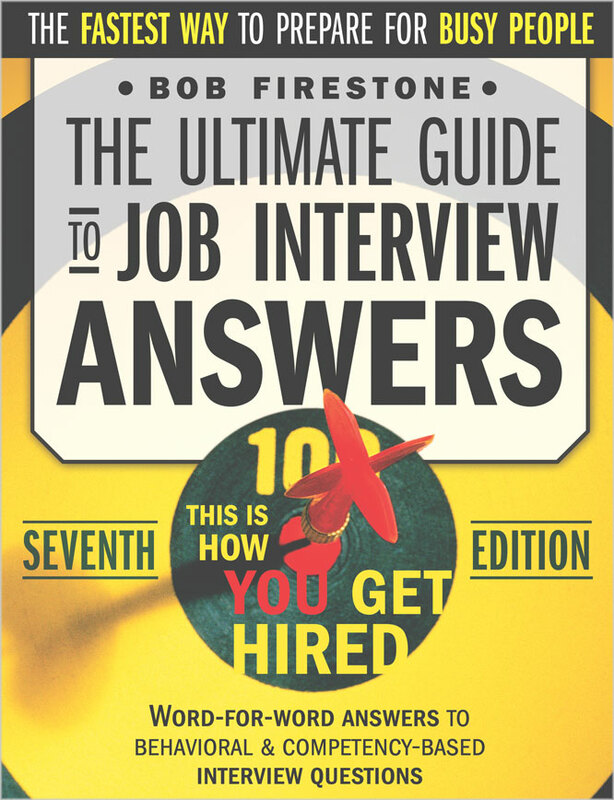 "I found the book to be a tremendous resource that changed how I prepared for an interview. The focus on the behavioral interview and how to prepare for it was worth many times what I paid for it. I am now employed as a full time defense contractor again." · 60 day moneyback guarantee FOR ANY REASON. Creates personalized interview answers that show your work experience is a perfect fit for the job. You become more confident in your self-presentation; you're now able to quickly calm nerves or fear. You easily command professional words, phrases, and metrics to communicate your value. Saves you hours of research looking at random blogs. How much is your time worth? You have proven patterns for talking about your strengths and past successes in a reassuring way. HELPS THEM understand your potential — so you GET HIRED into the company. ✔︎ Over 177 MODERN, TRUST-BUILDING, METRICS-BASED, EMOTIONALLY-INTELLIGENT, and TOTALLY PERSUASIVE word-for-word answers to choose from. ✔︎ Clear & instantly useful interview strategies that will surprise you in their effectiveness. You can do it too! ✔︎ Winning responses to the toughest questions most applicants fear. ✔︎ A model for crafting your own perfect introductory "opening statement." ✔︎ Structured answer‑options for the crucial "So, tell me about yourself …" question. ✔︎ Over 45 questions for YOU to ask the interviewer to uncover their "hidden needs." ✔︎ Questions for YOU to ask to dig and discover what it's REALLY like to work there. ✔︎ The 40 desirable Behavioral Competencies that they will be grading you on. Precise guidance on how to discuss your very best work in a convincing way — with many specific tricks and examples for you to try. Trains you to focus your interview responses on the key information you should be communicating in the limited time you have during the interview. ✔︎ The correct way to prepare, with accuracy, step-by-step. ✔︎ All the prep tools you will ever need, in one organized folder. ✔︎ Discover 18 scientific techniques to build rapport & increase your likability factor. ✔︎ A quick 9-step exercise that will calm your nerves every time. ✔︎ A spreadsheet of 240 action verbs and confident "outcome words" to use in your answers. ✔︎ 22 embarrassing management-level job interview MISTAKES that most people make (and you should AVOID). ✔︎ A dozen "power closing statements" for when you ask for the job. ✔︎ Also comes with the "Salary Negotiation Scripts & Tips." ✔︎ The 10 useful Bonus Items (a $124.60 value) included Free with your order. Discount: Take 40% off when you order before 9am EST on . Instant Access · Secure Order · 60 Day moneyback guarantee FOR ANY REASON. How to Tell if Someone is Lying to You. This paper will make you an expert at decoding deception. 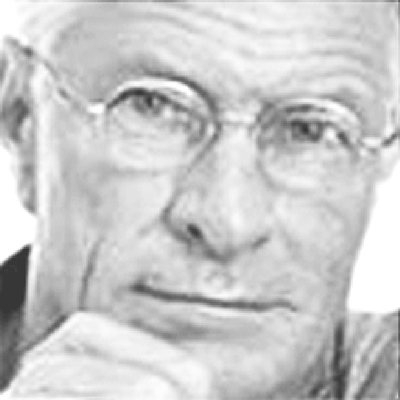 Learn to identify a liar's facial cues and language patterns that reveal untruthfulness. Interview Thank You Notes + Follow Up Letter Templates. Pre-written Thank You Note templates for after your interview. Strategies, action words & power sentences help you follow up strong and get the job. 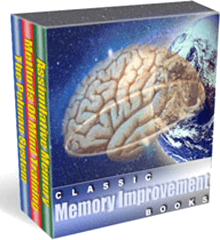 Three (3) Classic Memory Improvement Books. 81 total pages, learn the "Flash Memorization" technique, plus every other method you could possibly know for developing a perfect memory. 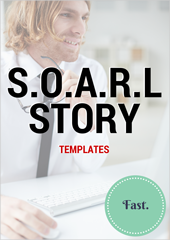 Interactive S.O.A.R.L Story Creation Templates. Create compelling stories from your work experience with these fill-in-the-blanks templates. You'll be surprised how good you can sound! 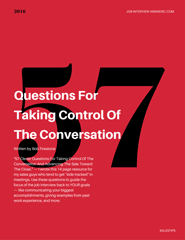 Questions For Taking Control Of The Conversation. How to bring the focus of the interview back to YOUR goals — like communicating your biggest accomplishments, showing your potential, etc. … Take control! 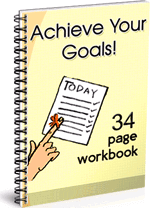 Achieve Your Goals 34 Page Workbook. AWESOME goal planning tool in easy workbook format. Guides you step-by-step in determining what your heart wants, where you want to be in 5 years, which job is best job for you, and more. 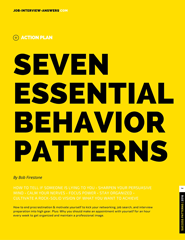 Seven Essential Patterns of Behavior for Success. Cultivate a vision of what you want to achieve. Make an appointment with yourself to examine your professional image. How to end procrastination and motivate yourself to work hard. 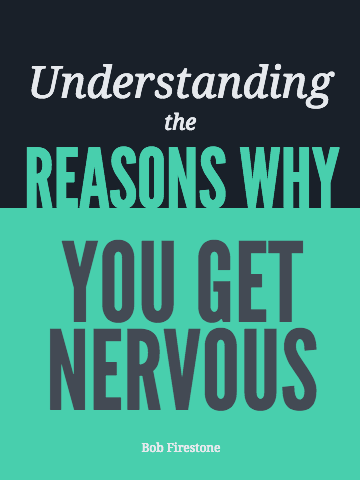 Understanding The Reasons Why You Get Nervous. 1,800-word report talks about the mind / body relationship and offers "Seven Mental Exercises You Can Do That Will Calm Your Nerves Every Time." BONUS SUMMARY: All of these are included with your order: 1) How to Tell if Someone is Lying to You 2) Interview Thank You Notes / Follow Up Letter Templates 3) Classic Memory Improvement Books 4) Interactive SOARL Story Creation Templates 5) 57 Clever Questions For Taking Control Of The Conversation 6) Achieve Your Goals 34 Page Workbook 7) Seven Essential Patterns of Behavior for Success 8) Understanding The Reasons Why You Get Nervous w/ Seven Mental Exercises to Calm your Nerves and Focus Power — PLUS — 9) Napolean Hill's classic book "Think & Grow Rich" as .pdf, — PLUS — 10) A Resume Template (with tips and instructions) that matches the modern design of the thank you note letters. 5.0 out of 5 stars"I will recommend your guide to my candidates. It's great!" "I have been in the recruiting and staffing business for 18 years, but the information on how to frame responses to questions gave me the confidence I needed to get *myself* a job! ... I also liked the behavior-based / behavioral interview questions strategies — it's so important to be prepared for this. I will recommend your guide to my candidates. It's great!" 5.0 out of 5 stars"A fascinating compass … It gave me an extraordinary advantage." "I would describe this guide as as a fascinating compass to use to plan for a high-impact interview. It's designed to set you up for success in every regard. Very comprehensive, by the way. It gave me an extraordinary advantage." 5.0 out of 5 stars"Life changing … NOTHING is as helpful as your book was to me!" "I purchased your book right after I graduated from college. Your book was a life changing shift for me in understanding job interviews and it landed me a job. Recently my son was born and we relocated to NC from CT. I'm now actively looking for work again & I thought I still had a copy of your book but can't find it! — all those perfect answers i had tailored to my work experience, and the breathing techniques, the confidence builders, are all gone. I have a phone interview today and I've been doing my own research and compiling different questions and answers but NOTHING is as helpful as your book was to me! Can you send me a new copy? THANKS!" 5.0 out of 5 stars"A must-read item to be prepared for what is going to come at you!" "As you have stated, there is a specific process to answering questions. Even slightly incorrect answers can stop your chances dead. As a manager who has interviewed hundreds of people over the years, I would always look for reasons NOT to hire someone in the interview. I would describe your Guide as a must-read item to be prepared for what is going to come at you — because it will!" 5.0 out of 5 stars"It was courage that has landed me the new role … I actually enjoyed the interviews." "I landed my dream job because of the tips I have been getting from you. And I actually enjoyed the interviews I did. At first I was scared looking at the candidates that I was to compete with, but after considering the fact that I had been called for the post means they had seen something in me I can deliver. It was courage that has landed me the new role I am holding now." 5.0 out of 5 stars"Your answer formula was exactly what they were looking for." "Bob, I purchased your guide two days ago and took the time commit some answers to memory. To my surprise, I used every one of them during the interview! 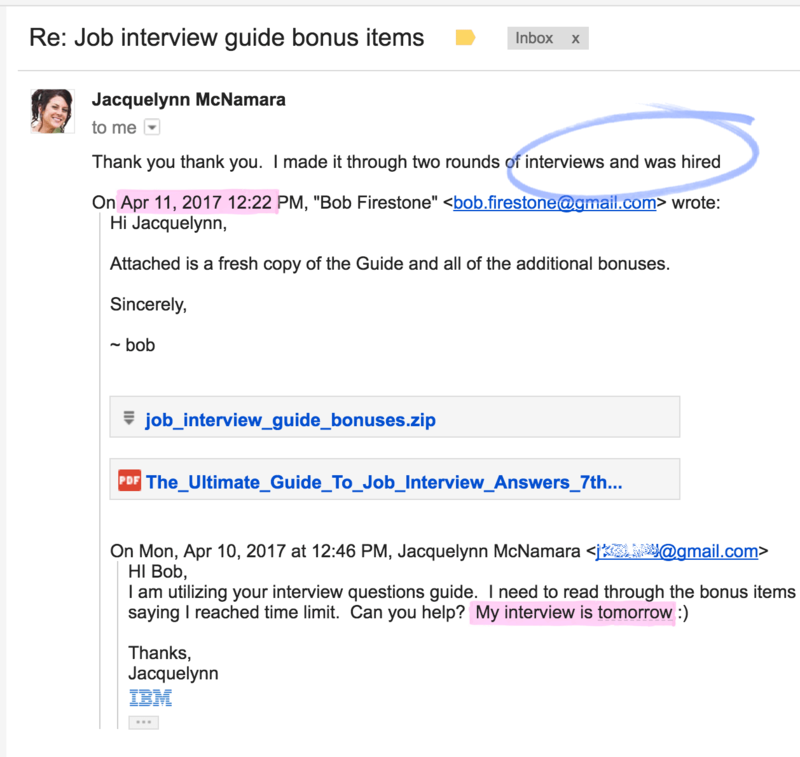 … They told me it would be a structured interview asking me HR type questions — and your answer formula was exactly what they were looking for. Having the answers fresh in my mind was well worth the price of the Guide. It's a very valuable resource." 5.0 out of 5 stars"It's been very resourceful and very helpful." 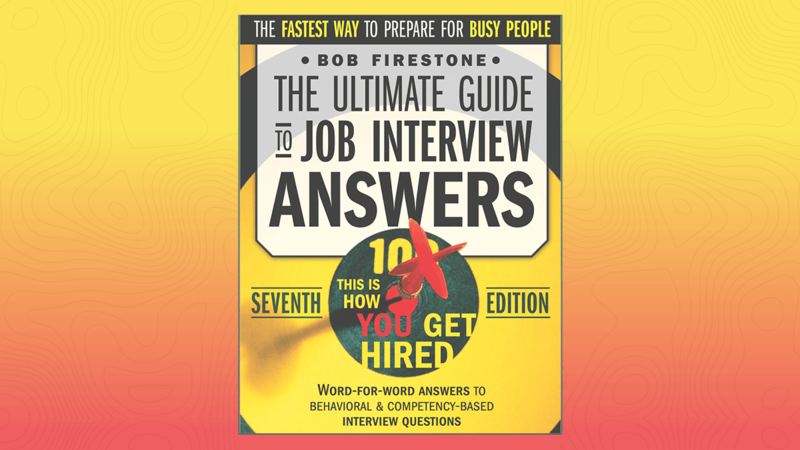 "Bob I just bought your book the Ultimate Guide to Job Interviews, and i am so excited, it's been very resourceful and very helpful. Straight away I used the list of behavioral competencies to update my CV and my linkedin profile and it looks so much stronger!" 5.0 out of 5 stars"A complete guide with key supporting data." "Bob, your guide has been very useful. I liked Part II best: "Preparation." I am definitely recommending it to friends and colleagues. I would describe it as a complete guide with key supporting data." 5.0 out of 5 stars"Now I have the job I wanted!" "Your interview guide is very helpful indeed. I was experiencing a few unsuccessful interviews before I decide to take your serious preparation. By studying your materials I was able to understand what employers want to hear and how to make my answers profitable information for them. With the help of the Ultimate Guide I felt absolutely prepared and calm before my interviews. Now I have the job a wanted! Thank you so much." You don't even need a reason or a receipt. If you're not 100% totally pleased and impressed then you get an instant refund; simple as that. We honor a 60 day no questions asked money-back guarantee instantly refunded to you for any reason, immediately upon your request. Here's why to buy it! Now in its 7th revision since 2004, it's been trusted & downloaded over 31,000 times by people just like you who have a crucial interview and want to get hired. Download it now. I honor a 60 day no questions asked money-back guarantee. What you are about to download allows you to prepare FAST. Your smart investment in yourself is less than you would spend on a round of drinks when you celebrate getting the job. Costs less than a couple large pizzas — and your personal return on that small investment is huge. Get the new job you've already put tons of energy into finding. This is considered a tax-deductible investment in your job training & career success. The payback for your decision to help yourself today is enormous when you think about your financial security and feeling good about your interview and your possibilities. ✔︎ Order before 9am on — because until the discount ends, new customers can take over 40% off (was $69.95) so you get everything for only $37 — Get serious about your next job. Try something new! 40% off discount pricing expires at 9am EST.